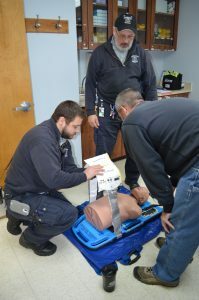 Warren County Ambulance District is a Missouri Department of Health & Senior Services accredited training entity under the Bureau of Emergency Services and provides continuing education credits for EMT-P and EMT-B Missouri licensures. The district also provides certification classes under the American Safety & Health Institute and the American Heart Association for community and workplace needs. Click here for more information on CPR class fee and upcoming CPR class dates.